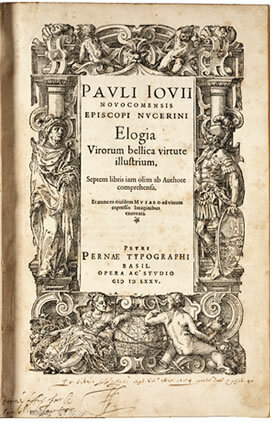 Elogia Virorum Bellica Virtute Illustrium. 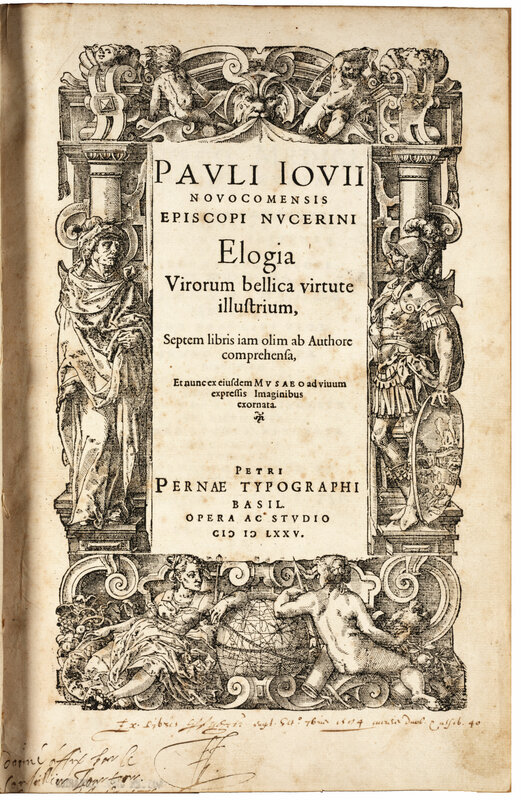 (In Praise of Illustrious Men of Military Virtue) by Paolo Giovio; Basil: Perna, 1575. Our first biographical dictionary illustrated with woodcut portraits by Tobias Stimmer based on portraits in a private museum which the author owned.